Fabulous restaurant Burnt used our Marmor Carrera Compact Laminate worktops to create these stunning tables in their new establishment. Our photographer took a few shots of the contemporary look they created with our help. Take a look at our compact laminate range to be inspired. Click HERE! Ireland's leading specialist supplier for the furniture industry. Providing kitchen doors, sliding wardrobe doors, flooring, sheet materials, mdf, mfc, worktops, kitchen accessories. Serving the whole of Ireland with branches in Cork, Dublin and Mullingar. MAXTOP IS EUROPE'S LEADING MODULAR QUARTZ PRODUCT. IT HAS THE BEAUTY AND STRENGTH OF A SOLID QUARTZ SURFACE, WITHOUT ANY OF THE DRAWBACKS OF TRADITIONAL SOLID STONE SURFACES. WITH MAXTOP THERE IS NO NEED FOR A TEMPLATED FIT. MAXTOP CAN BE SUPPLIED AND FITTED IN ONE DAY! We are letting our customers know our Christmas hours. We hope that you can make any necessary arrangements to avoid any inconvenience. Some photos of the recent architectural exposition in Dublin that we exhibited at. It was a great success. We have exciting new opportunities in our Dublin branch! We are looking for a Sales Representative and Sliding wardrobe manufacturers to join our team. For a bit of inspiration we're showing you a project completed using Egger products that are available with us! This bathroom in a private home is given an elegant touch thanks to the combination of contrasting surfaces. PerfectSense Matt lacquered boards make up the drawer fronts, while the wall cladding is composed of compact laminate with the surface ST9 Smoothtouch Matt. Both are in the warm decor U702 Cashmere Grey, creating a calming effect in the room. The laminate used for the wash basin area adds a real wood feel with the decor H3406 Anthracite Mountain Larch in the deep-brushed, synchronised pore surface ST38 Feelwood Pinegrain. The addition of matt black fittings with PerfectSense Matt and ST9 surfaces accentuate the calm look and feel of the room. We are delighted to introduce our new range of Pfleiderer worktops! "Inspirations close to you" – with the decor and texture selection applicable worldwide, which is based on future-orientated interior trends and contemporary colour worlds and living styles, you will always find the right design. Let yourself be inspired. We are delighted to announce that we have been selected by Egger to be their distributors for the Republic of Ireland! We have a new range of Poplar Plywood provided by Garnica. This is a fantastic product that is sustainably made from European Poplar Plywood. It is lightweight and easy to machine. Take a look at the video below for more info. 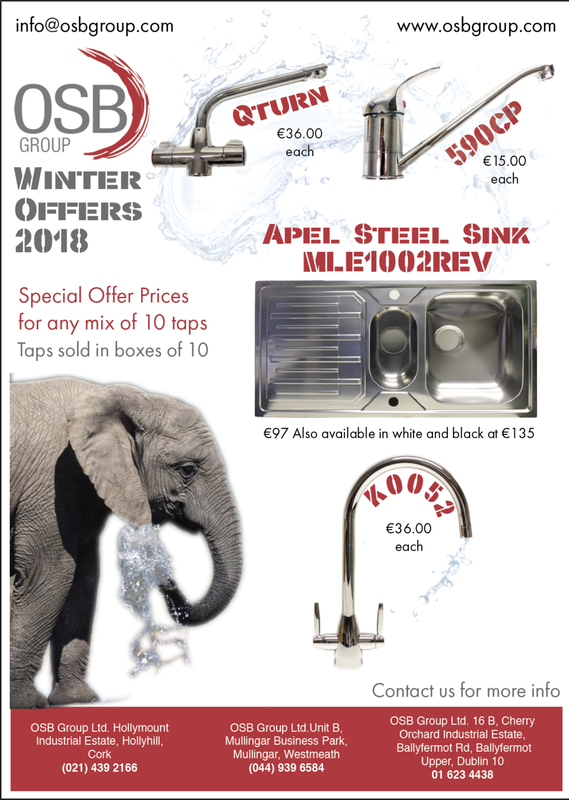 If you have any questions contact us on info@osbgroup.com or visit us at our stores in Cork, Dublin and Mullingar. Tmatt doors offer the most advanced technologies making them not only stylish, but practical. They have an auto-regenerative system ensuring they always look brand new. They are scratch, abrasion, smudge and fingerprint resistant. We have a new range of Poplar Plywood provided by Garnica. Take a look at the flyer and video below for more info. If you have any questions contact us on info@osbgroup.com or visit us at our stores in Cork, Dublin and Mullingar. 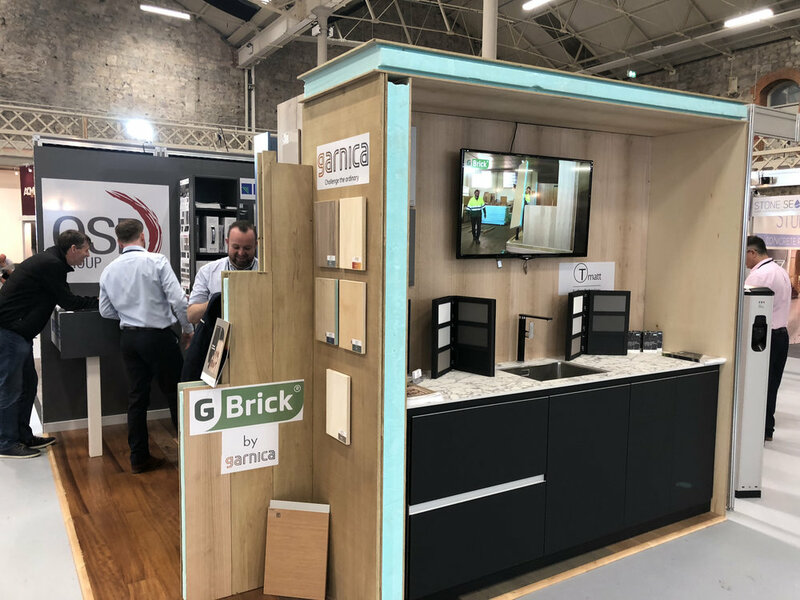 OSB Group Cork, Dublin and Mullingar - Kitchen Doors, Sheet Materials, Timber Flooring, Kitchen Worktops, Sliding Bedroom Doors, Kitchen Accessories. Ireland's leading Specialist Supplier servicing the furniture industry nationwide since 1978. OSB Group are Ireland's leading specialist supplier for the furniture industry. Providing kitchen doors, sliding wardrobe doors, flooring, sheet materials, mdf, mfc, panels worktops, kitchen accessories and much more. OSB Group serve the whole of Ireland with branches in Cork, Dublin and Mullingar.